Welcome to the Parkland Flag Football. Our board has had the privilege of providing a friendly, safe and exciting environment for all of our children to participate in the great game of flag football in Parkland. 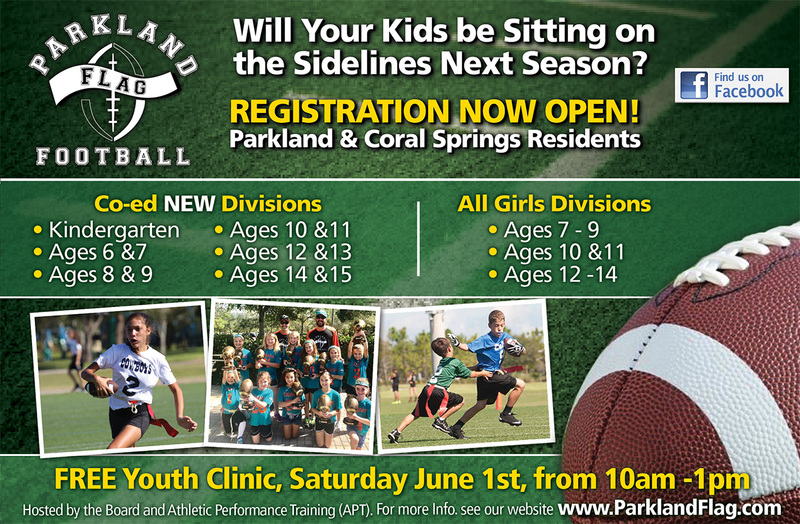 Help us make Parkland Flag Football the youth club you want your children to grow with!